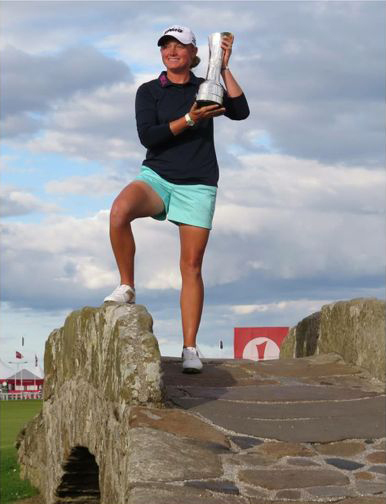 Stacy Lewis, winner of the 2013 Women's British Open, and previously the #1 player in the world rankings, the first American to win the LPGA Triple Crown in 21 years, credits AimPoint for her low scores on the green. More than that, she says it's become a huge part of her whole game. "It changed the way I look at the greens, at my strategy going into the holes," she explains. "It's made me a smarter player knowing that the game will be easier; It's made me trust my reads, and I make more long putts than I did before." Lewis finished the Open with a dramatic birdie-birdie finish, beating her nearest competitor with a two-stroke advantage. She acknowledges that reading greens using the AimPoint system gives her a competitive advantage. "I was one of the first ones to do it a few years ago and people thought I was crazy having a chart with numbers and a level," she says with a smile. "But now everyone is doing it." Adam Scott, PGA Tour Player and winner of the Masters: “When I stand over a six-footer I have a game plan. 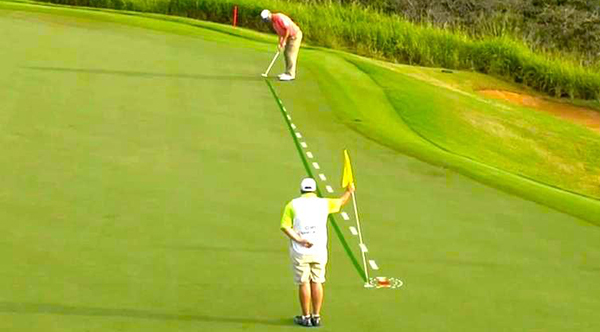 I know where the putt needs to go and that gives me great confidence. It also means the pressure is less on the long putts because anything inside six feet fells like it's in my comfort area." Joseph Mayo, PGA Tour Instructor: "I'm not an AimPoint instructor nor am I affiliated with it in any way. I have no dog in the race. But, AimPoint flat out works. It's legit." Hank Haney, PGA Tour Instructor: "Had a great time learning #AimpointExpress today in Vegas w @RadarGolfPro great teacher, great system can’t believe everyone doesn't use it."